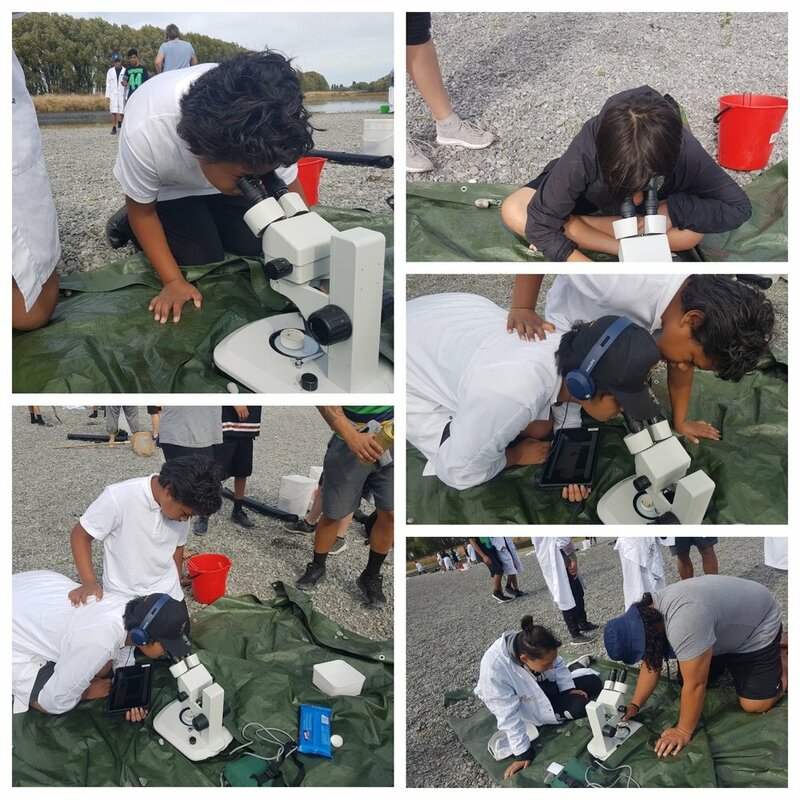 Over 60 rangatahi from Flaxmere had a go investigating water quality at the Tutaekuri River in the Hawkesbay region. In Collaboration with Enviro school Coordinator Sally Chandler, students learnt how the their Regional council works to monitor our rivers and streams so they are safe for swimming and fishing. One of the first things students observed at Tutaekuri River was the growth of algae along the river. This became a good platform for them to learn the differences between toxic and non toxic algae and its consequences. Toxic algae is a very real issue facing our rivers especially as hot temperatures continue to rise; with a coin size piece of algae having the capacity to severely affect and kill a dog. Stuff, Jan 11 2019, reported that dog owners and swimmers across the Wellington region, for example, were to be on alert for toxic algae in their local rivers, especially as low levels had been identified by Environmental scientist Dr Mark Heath Greater Wellington Regional Council. Sally underscored the critical need for young people to be even more vigilant and aware of how temperatures can affect the conditions of our rivers. This summer saw temperatures in the Bay as above average which can lead to more algal blooms. Students also learnt that the Council spent the summer monitoring phormidium as part of the recreational water program, with 7 sites monitored weekly for cyanobacteria in the Tukituki River. As students got to task assessing water quality, the techniques employed mirrored the water samples that are collected monthly and analysed by the Council for a range of physical, chemical variables, periphyton levels and benthic invertebrate samples. Together these readings paint a ‘picture of stream health, flow, temperature and clarity of the water at any given point in time’ which students can then share to whanau, iwi and wider community.